Fly fishing is a hobby that has seen huge advancements with technology throughout the years. While the fish and flies are still the same, the advances in the fly rods, reels and fly lines have improved tremendously, especially in the last 30 years. As the popularity of fly fishing has increased exponentially, the competition to produce the best fly fishing rods has heated up with many manufactures competing to produce the next best fly fishing rods. It takes time on the water to develop a feel for what a person will like the most, so to speed up the process, below is a quick guide to ensure you start you fly fishing career the right way with the right gear, starting with a fly rod. Fly Fishing Rod Basics: Fly fishing rods vary from standard fishing rods in that with a fly rod you are casting the line compared to a standard rod that casts the lure. It takes much less to build a rod that casts a weighted lure than it does to cast an almost weightless line that is designed to lay on the water with maximum delicacy. Therefore, a fly rod of any quality will be a bit more expensive than your standard fishing rod. 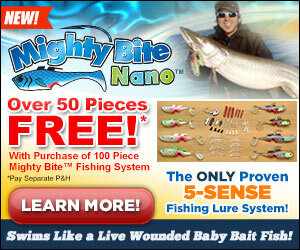 In fact, for a person just starting out bait fishing, a cheap rod will work just fine. It is quite the opposite with fly fishing rods. A quality made rod will enhance your experience tremendously when compared to a superstore combo pack where you get a complete setup, including rod, reel, line, tippet, and even flies, for under $50.00. 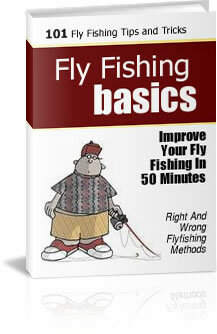 If you are expecting to continue to fly fish, that will be money well wasted. Materials: Throughout the years, fly rods have seen many changes in the materials that are used to construct them. � Bamboo has been a longtime favorite for its action and nostalgia, but is expensive and not typically the best pick for someone’s first fly fishing rod. � Fiberglass, though strong with lots of action, is heavy and almost nonexistent in the fly fishing world these days. � Graphite: The best bet for a first fly rod, as well as the top pick for experienced anglers, are rods made out of a type of graphite. Graphite rods are light and can be designed to put the flex where it is needed, which change depending on the situations an angler plans to put themselves into. Weight: The size of line that a rod is designed to cast is known as the weight (wt) of the rod. This also signifies the size of fish you will most likely be targeting where the lower the weight of rod, the smaller the fish you will be after. For example, a 4 wt rod is ideal for dry fly trout fishing, where as a 10 wt rod is designed to cast big flies at big fish such as King Salmon. Follow the link below at the end of this article to see what weight rod will be best designed for the type of fly fishing and size of fish you will most likely be encountering. Length: With different types of fish, in many different types of areas throughout the world, different length of rods must be developed to handle the varying conditions one may find themselves in. For trout in small streams with lots of brush and trees, a six or seven foot rod may be ideal, while on a big river fishing for steelhead a 14 foot spey rod might be the best option. For most situations though, a 9 foot rod will be the most popular and most versatile in the most situations that a beginner will encounter. Rod Sections: Most fly rods will be able to be broke down for times when not in use and for travel, much like standard rods. Due to the length of the rods though, a rod that breaks down into two pieces is still going to be long and not travel all that well, especially if you are to be backpacking or flying with your rod. That is why it is advised to go with a rod that breaks down into 4 pieces. The connections for the sections, called ferrels, are so well made these days that you will not know it is 4 sections. 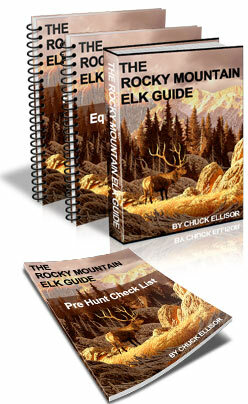 A fly rod is the first and also the most important item in a list of things that will be needed to get into this hobby.� Once you decide on a rod, you will then need to choose a line and reel to go with it.� To ensure you get your money’s worth and the “Best Fly Fishing Rod” setup that you will be able to use for a lifetime, make sure to go to www.OnlineFlyFishingGuide.com where we will be able to specify a certain fly rod designed for the situations you will be dealing with and tailored to your budget.